Salmon Tataki or pan-seared salmon is one of the easy-to-make Japanese dishes demonstrated by Chef Seiji Kamura at The Maya Kitchen. 1. Plate seasoned salmon and brown the skin all over using a blow torch. 2. Soak whole salmon in cold water for a few minutes, strain and pat dry. 3. Slice salmon and serve with wasabi sauce (to make the sauce, simply mix together all ingredients for wasabi sauce). 4. 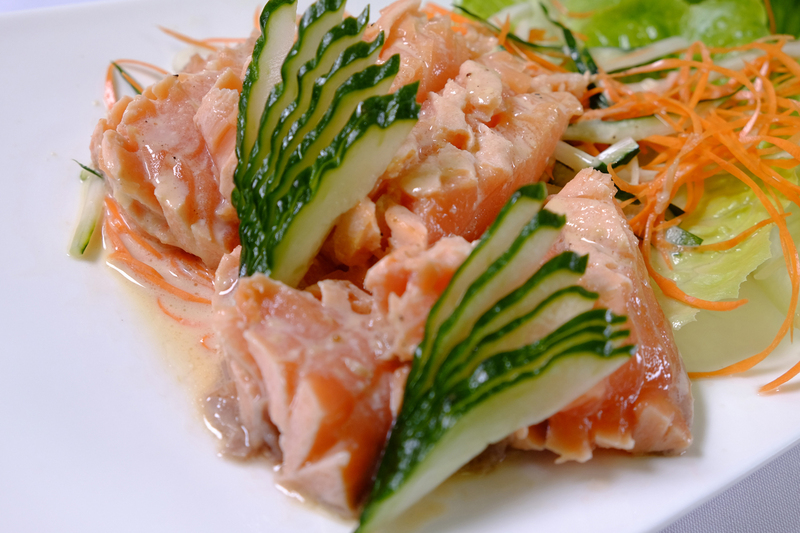 Garnish salmon with sliced cucumber, carrots and lettuce.